I get a lot of queries about the virtual gastric band hypnotherapy, it is a very effective procedure and the results gained thorough an entirely natural and safe process can be staggering. A lot of inquirers tell me that they have been considering going in for the real operation as they think they ‘have tried every diet under the sun’ to no avail, but whilst researching gastric band surgery luckily have come across my information and have got in touch for more information. Another common theme is that a lot of these ladies and gents do not have that much weight to lose. I mean, I know we have our BMI guidelines, weight/height/body type ratios but a lot of you just want to be able to fit in a decent size pair of jeans or a pretty dress again. But in sheer desperation are now considering going in for a very costly, very high risk operation. Is that you? The danger with weight loss surgery is that as long as you have the money (thousands of pounds), you can be in tomorrow getting cut open and having bits of you removed or modified. Does your stomach make you eat, or is it your mind? Most weight gain is down to mindless eating and drinking, comfort eating or self soothing. Just because you have half your stomach removed won’t make your cravings any less, in fact it is reported it makes them even stronger as you become more willful in ways to still ingest calorific foods. Another symptom of bariatric surgery that patients have recorded is an increased level of alcohol consumption. This is a direct result of trying to fulfill your emotional needs from an external substance, be that food or alcohol (Can a gastric band make you an alcoholic?) the emotional patterns and cycles continue, and you are still not happy – or slimmer. Whether you meet the criteria for the virtual gastric band hypnotherapy or not, weight loss by hypnosis is achievable for everyone. The first part of the work is we look at your lifestyle, emotions and feelings around food, and I work with you to give YOU the CONTROL back. Get your control back over food so you can become the size and shape you want to be, once and for all. Yes it will require will power, yes you will have to change your food and eating habits, yes you will have to do some exercise or activity. What you won’t get is any ‘fad’ advice, diet plans, food replacements, regiments or a depressing carb free existence to not look forward to (carbs are necessary for good serotonin production overnight so it IS recommended that you can eat them, even at night). There is nothing more satisfying to see someone let go of all that ‘diet’ baggage and simply make healthier choices because that’s what they actually want to do. To say ‘no thank you’ to a piece of cake or dessert and not feel secretly gutted about it. How would you rather feel? Happy with your healthier choice and losing weight or constantly worrying about what you can eat next? I am not saying you can never again eat chocolate or have pizza, instead you will have the power and control to think, that you just don’t want it TODAY. I have some great clients and they keep inspiring which inturn makes me inspire you, one of my ladies had her surgery consultation in Spring (she only had around 3 stone to lose) luckily got in touch with me before the operation and is currently 2 st 7 lbs lighter and hasn’t touched a sweet/chocolate/cake/biscuit (her vices) since. All whilst cooking and eating the same as the rest of the family, going on holiday, working, socialising – all the things that we have to do every day/week/month and year. I have also worked with ladies for whom unfortunately gastric band surgery hasn’t gone to plan and have been in immense danger which is unbelievably sad and frightening, I will cover more about this in another future post. You want to be slim fit and healthy, you want to get into that pair of jeans again, you want to wear that little dress in the party season, see what hypnotherapy for weight loss can do for you. As long as you are ready to make the change, hypnotherapy will help you achive your goals. Please feel free to get in touch with any queries via email, Facebook or Twitter @Hypno_Health let’s get you on the right track to becoming slim and healthy easily, once and for all. What if curbing your appetite were as easy as turning off the lights? It is when you use your brain – not your stomach – to feel full. Wouldn’t it be great to have your cake, eat it too – and still lose weight? You can as long as your brain is getting the message that you’re satisfied after a few delicious bites. The trouble happens when your brain doesn’t get the “I’m full” message and tells your body it’s still hungry. Sure, there’s always will power. But when you’re fighting your brain chemistry, it’s never a fair fight. Research reveals that it’s your brain—not your stomach—that is Command Central for weight management. “It’s the single most exciting breakthrough in weight management in the last 10-plus years, and yet, no one is talking about it,” says Doug Kalman, Ph.D., R.D., F.A.C.N., director of the Phase I Clinical Research unit of Miami Research Associates, a research site that’s been part of some of the biggest health breakthroughs in the past 25 years. After years of seeing less than satisfying results with gut-based diet systems, scientists started looking at the brain for answers. The breakthrough came when researchers finally discovered that the brain uses a type of messaging system – think of it as “texting”- to determine when and what to eat, and when you’re hungry and when you’re not. “This understanding of what was always considered a very complex science now allows people to take a simple approach to weight management that doesn’t ask them to change their lifestyle,” says Kalman. “It’s something everyone can do.” When used in tandem with smart eating and exercise, bolstering your personal will power with a brain that’s also on board can boost weight-loss goals big time. Here are five simple strategies to help you get started! Fibre and water trigger feelings of fullness and reduce hunger by sending a “YOU’RE FULL!” text to the brain. In fact, researchers at Penn State found that when people consumed a small or moderate amount of a fibre-rich liquid 15 minutes before a meal, it markedly reduced caloric intake (by 20%). Have a cup of clear soup with veggies 15 minutes before a meal. No time to prepare soup? Drink a fibre supplement stirred into a glass of water for a similar effect. “Allow yourself seven hours or more of sleep,” says Nolte. And when you get the carb cravings, have water or a cup of green tea instead. Green teas, along with other polyphenol rich foods (most notably those with high levels of two types of polyphenols—anthocyanins and stilbenes) have been shown to be very good at turning off the hunger switch. Stilbenes are found in grapes, blueberries and cranberries. The best-known stilbene is the anti-ageing compound resveratrol, most notably found in red grapes and red wine. Anthocyanins are present in popular superfruits such as acai berries, bilberries and blueberries. In a study published in Molecular Nutrition & Food Research, researchers from the U.S. Department of Agriculture found that purified berry anthocyanins normalized the fat levels in mice that were fed a high-fat diet. Scientists attribute this effect to the ability of anthocyanins to assist cells in burning energy, inducing satiety and, ultimately, turning off the hunger switch. Increase your intake of green tea and berries. Some ingredients turn on your hunger switch, so it pays to read labels. Some of the worst offenders: high-fructose corn syrup (HFCS) and palmitic acid (the main fat in palm oil, palm kernel oil and a saturated fat in beef). These troublemakers stop the hormones leptin and insulin, two of the brain’s most important “hunger messengers,” from reaching Command Central. When leptin and insulin are blocked from the brain, the brain tells you to keep eating, which can mean the difference between having a few chips and eating half the bag. In fact, in a study published in The Journal of Clinical Investigation, researchers from UT Southwestern Medical Center in Dallas found that palmitic acid’s ability to block leptin and insulin was so great that it may accelerate both obesity and Type 2 diabetes. Avoid processed foods which may contain these offenders and choose whole, fresh, unadulterated foods. Shop the perimeter of your supermarket, where the least processed foods are found. Reduce your intake of beef and opt for “grass-fed” beef, which naturally contains less of the problematic saturated fat. While increasing your consumption of protein can satiate your appetite, one of protein’s building blocks, namely the amino acid tyrosine works as a neurotransmitter, speeding up messages to the brain that turn off the desire for food. That means with tyrosine, whether in food or supplements, cravings end faster and fewer calories are consumed. In addition, protein will turn off your hunger switch to a greater extent than carbohydrates or fat, so replacing some carbs with protein may help to reduce your overall caloric intake. Eat a minimum of 20g of protein at each main meal. How much coffee do you drink a day? It’s a question I ask all my clients, regardless of the initial reason they are with me. The effects of caffeine can compound all areas of issue, be that weight loss, anxiety, stress, depression, insomnia and more. Coffee contains three stimulants: caffeine, theobromine and theophylline. Although caffeine is the strongest, theophylline is known to disturb normal sleeping habits and de caffeinated coffee isn’t stimulant free either. The reason that people get hooked on coffee especially in the morning is that they think it makes them feel better, energised and alert. Coffee is addictive so all you are doing is feeding your addiction. Research has shown that coffee drinkers don’t feel any better than non coffee drinkers after that first important cup in the morning. All you are really doing by drinking coffee in the morning is relieving the symptom of withdrawal, much like a smoker after the first cigarette of the day. 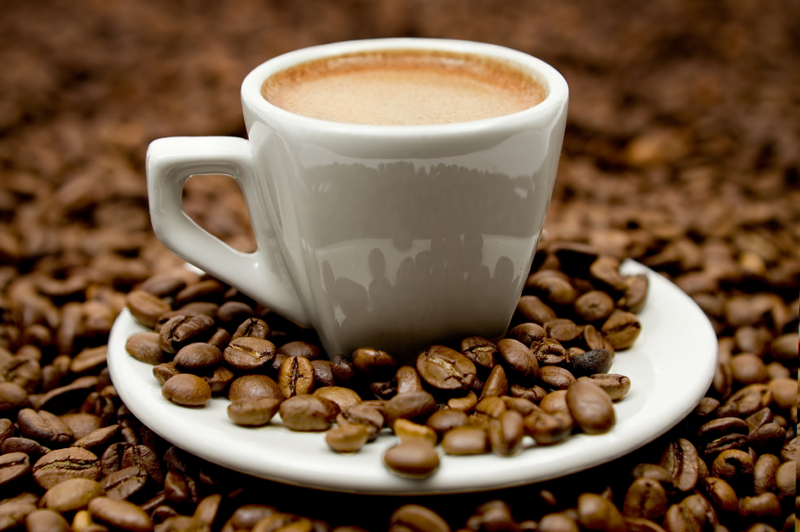 Caffeine: Is a stimulant that speeds up the nervous system and other body systems. Within fifteen minutes of drinking a cup of coffee the level of adrenaline in blood rises, which means an increase heart rate, breathing rate, urinary output and the production of stomach acids. The more caffeine you consume, the more your body and brain become insensitive to its own natural stimulants, dopamine and adrenaline. You then need more stimulants to feel normal, and keep pushing your body to produce more dopamine and adrenaline. Eventually the body cannot cope and an inability to produce these important chemicals of motivation and communication sets in which result in apathy, depression, exhaustion and an inability to cope. The average person should aim to have no more than 100mg of caffeine per day. There are a few simple steps you can take to reduce your caffeine intake to balance your body and moods. Complete withdrawal is preferable but you will get withdrawal symptoms only for a few days, these are usually in the form of headaches. Try cutting down, if you have 4 cups a day, have 3 for a week, then down to 2 cups a day ect. Try Green Tea instead for your morning fix, with 20-30mg in each cup you have the added benefits of important anti oxidants which are beneficial for health and weight loss. The irony is coffee makes you tired, a simple change can release you from the vicious cycle of stress and stimulants. Try making that change, today. Summer, Summer Summer time . . . It will soon officially be Summer 2012! the clocks go FORWARD Sunday 25th of March and from then on, hopefully we will be basking in warm temperatures and can make like Gisele with our sun-kissed glows. . . .
Ok, maybe you will be wearing a little more, how about those beautiful feather light summer dress’ with the tiniest shoulder straps from a fashionable boutique or a beautiful swimming costume or bikini, sipping a cocktail on the beach with friends and loved ones? You can make this the best Summer ever, I will be launching my new easy Summer Weight Loss programme next week, where I will be helping you every step of the way, to reach your goals. Until then, where’s that self tan . . . The Hypno-Band was featured in the last season of Channel Fours series Embarrassing Bodies, where we saw Lynsey lose over three stone! Click here to see the fabulous results of Sue, she is un recognisable after losing over 8 stone in weight! Do you have a high BMI and have been considering Gastric Band Hypnotherapy? Your BMI gives and indication of your health risks. A BMI between 18 and 25 is regarded as “Normal”, between 25 and 30 is classed as “Overweight” and a BMI between 30 and 40 is in the “Obese” range. If you have a BMI over 40 you are classed as “Morbidly Obese.” Not only can obesity affect life expectancy it can be responsible for conditions such as: cardiovascular disease, diabetes Type II, stroke, cancer, joint problems such as osteoarthritis and high blood pressure. I am a Licensed Hypno-Band practitioner and many people visit me through recommendation as I specialise in weight loss and virtual Gastric band hypnotherapy in Leicester. 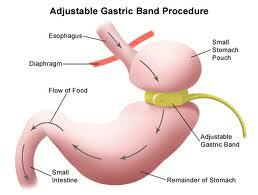 Hypno-Band (TM) is the original and most widely used gastric band hypnotherapy system in the UK and with 750 Licensed Practitioners in 37 countries (Feb 2012) it is the world’s no.1 gastric band hypnotherapy system. It is regularly monitored and updated and only experienced and qualified Hypnotherapists can be licensed to use it. Be aware of imitations by ensuring your therapist is licensed.